Freelancing websites - worth it or not? As a business or entrepreneur looking to hire freelancers for a project, which website do you try? How do you describe your project perfectly so that people understand? How can you trust that what people put on their profiles is true? How do you choose the right person? Is it worth paying extra for someone local? Will they do a good job in delivering what you ask? Will your confidential information and intelligence be safe with a subcontractor you met online? And as a freelancer, how do you get started with a new site? Is it possible to differentiate yourself for the quality you provide among the many freelancers who win projects by keeping the price to a minimum? How will you be able to compete within the global market? Will your time and skills be treated with respect? Will you be paid on time? Too many uncertainties, for sure. It can be scary to trust a self-proclaimed specialist with important business projects that you don't fully understand yourself. I mean, that's why you need a freelancer, right? You don't know the required programming languages to create your online platform. You don't have the design skills to create the visual assets for your beloved startup. But these people claim to be perfect for your project… The only question is, should you trust them with your organization? For the freelancers, it is a similar dilemma. On, the one hand, you have your reasons for moving into contract-based work, but of course, you also have some bitter opinions about it. The ad hoc nature of the projects, the need to compete against thousands of other freelancers, the mixture of cooperative and borderline difficult managers... Sometimes it feels like it's all too much trouble for what it's worth. Sure, in some cases, hiring a freelancer is a good move. Of course, this model for work is what our rapidly connecting world needed, and that's why it became such a large scale success, spanning across almost every industry and every corner of the world. However, we're sure you will agree - working as a freelancer or hiring a freelancer is a risk. You are welcome to take this risk if you think it's worth it. But at 2PS, we believe that there is a better alternative. 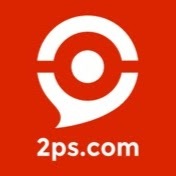 2PS brings the human judgement both in and out of online freelance marketplace platforms. Firstly, we take out the subjectivity that comes with selection and automate the search and matching. Our experts have their skills outlined on the system (which then verifies specific expertises as they work more in that expertise), and don't spend hours filling in applications for your project. For you, there is no need to fill out a project outline and all the requirements - you tell our system your needs in a few words, and it automatically suggests you the consultant that is most relevant to your business needs. Then you discuss the details of the project with him or her directly. This is where we put the human judgement back in. After talking about the details, you may find that your project may need additional skills to what the expert our algorithm selected for you can offer. The best thing is that this consultant will go and find you the right person, and this will be a person they trust and like working with. Why? Because our system rewards them for working together. At 2PS, it pays to be honest and fair, because what's in a client's best interest is also in your best interest. This little tweak of the freelancing model is what allowed us to build a risk-free online platform for hiring business consultants. Freelancing websites are individuals selling off their services. 2PS is experts collaborating for your benefit. 2PS is a collective of management consultants united in an international network. CEO CFO CMO CIO have different business consulting needs?